Speech-recognition software is quickly becoming a part of our everyday lives and it’s enabling users to go hands-free and still easily accomplish tasks and get answers to their questions. 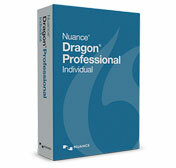 Dragon® Professional Individual is at the forefront of the speech-recognition software revolution! Dragon Professional Individual gives users the power to instantaneously create digital documentation and 99% accurate transcriptions just seconds after installing the product. If you need help with the installation or anything else related to Dragon Professional Individual, then Certified eSupport is here to do just that. Customize and create commands to eliminate time sitting in front of the computer. Use your voice and, in just a few words, send out emails, create memos, or transcribe meeting minutes. Use Dragon Anywhere, the new mobile app, to dictate anywhere at any time, using your iOS or Android device. Since it’s a cloud-based solution, there’s no limit to the length of your dictation. Create custom macros and build a custom vocabulary that is industry specific with ease as the software learns from you. The more you use it, the more accurate your transcriptions become. The latest version of Dragon Professional Individual is built to integrate with Windows 10 so you’ll have compatibility with the best speech-recognition software for years to come. By using Dragon Professional Individual, and with the help of Certified eSupport, including the knowledgebase, easy ticketing system for the hard-to-answer questions, webinars, and more, you could be crossing off action items on your list faster than ever before. Speech-recognition software, like Dragon Professional Individual, has been shown to increase efficiency, streamline workflows, and cut back at least 30 minutes a day spent sitting in front of a computer. If you feel like you don’t have the time to install and implement it, let alone customize the software for your needs, let Certified eSupport take the reins and make your job easier.